Pixel Mint, and I worked extensively on all parts of its development. 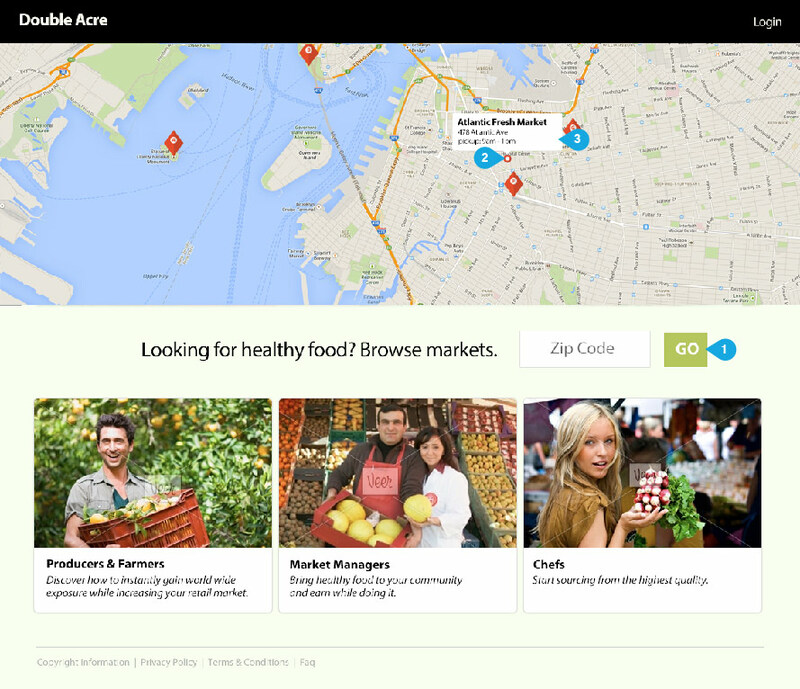 CTA – OnClick – open a new tab and redirect user to that Market Homepage. We may find that users need a larger CTA to continue to the next step of the journey. The mandate throughout this process was to remove as many roadblocks as possible for the user. The objective here was to delay forcing the user to register for as long as possible (there’s of course a tradeoff here, but one that was taken with a measured approach). Asking a user to enter a simple zip code into a website to find things of interest nearby is one of the easiest ways to get a user to take the first step into the engagement funnel. By showing a live map just above the field, the user understands that they’ll be shown the info they want right on this screen without being taken elsewhere to enter additional personal information. Allowing “Show Password” during initial registration is faster and more accurate than having the user input passwords twice (which takes longer, requires them to write more and increases the chances they’ll input incorrectly). This is the flipside of the previous page (where we gave the user a chance to surf around the site before registering)- now they’ve just added their first item to their cart which signals a prime opportunity to ask them to register. 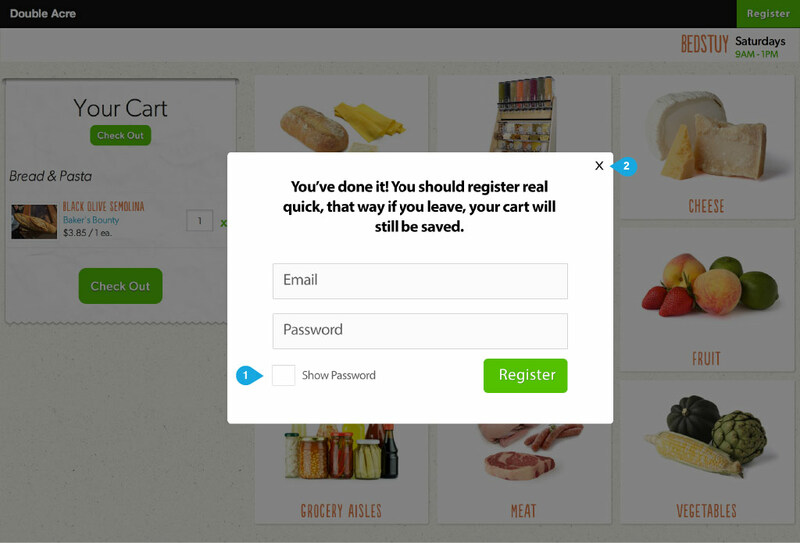 Do we want to force the user to register when they add something to the cart for the first time or simply allow this as an option that’s not required? 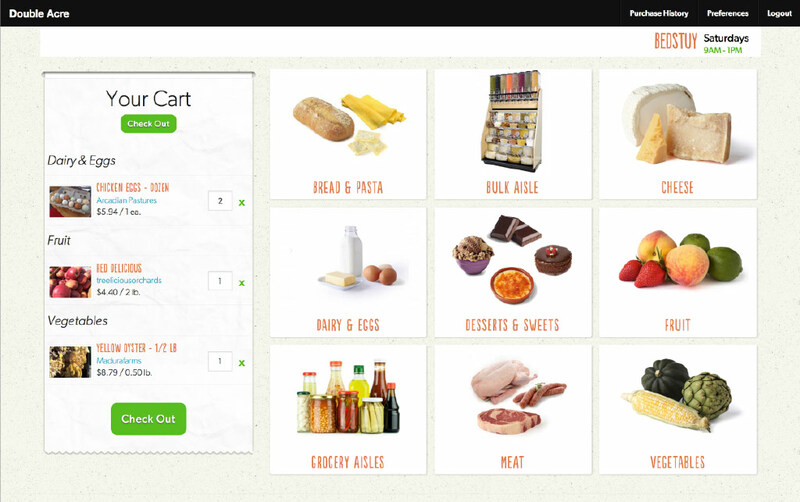 On the web platform all the food items live in a nested shopping grid. Through user research I learned that shopping for food online is unike shopping for electronics or books. People add things to their carts that they intend to consume within about a week. Therefore they’re not only careful about what items they buy, they’re also much more thoughtful about selecting the right combination of items. In thinking about the shopping cart we wanted to capture the feeling of shopping in a grocery store or farmers market where your shopping cart and its contents are literally in front of you the entire time. In a store, you see an ingredient you want on a shelf and place it in your cart, then assemble other ingredients for a dish you have in mind. 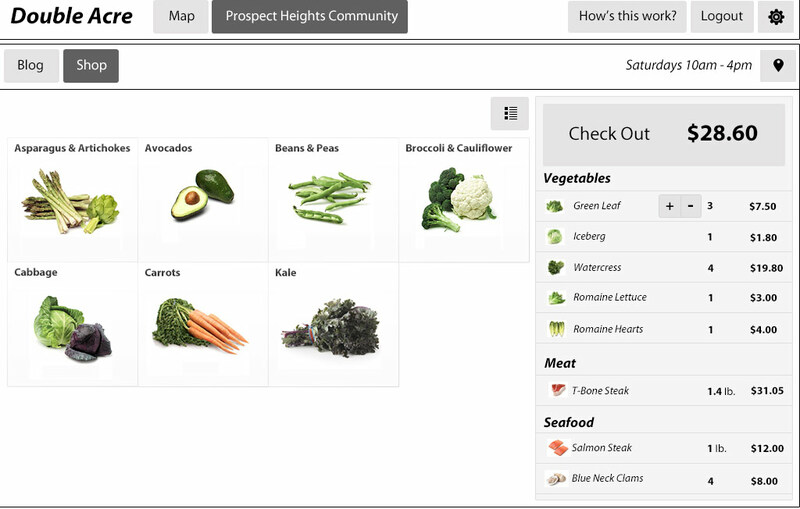 In our platform, having the cart items visible on-screen at all times makes this a more natural process that closely models a traditional grocery shopping experience. An issue arose when I started thinking about how to capture this shopping experience for mobile users. How can we take the limited screen real estate of a smart phone and show the consumer both the food items they’re looking for and the ones they already have in their cart at the same time? Moreover, how can we make the experience feel intuitive for someone who first learned our system on a desktop? Below is a video demonstrating a solution I found that treats the smartphone screen as a window into a larger pane of functionality. 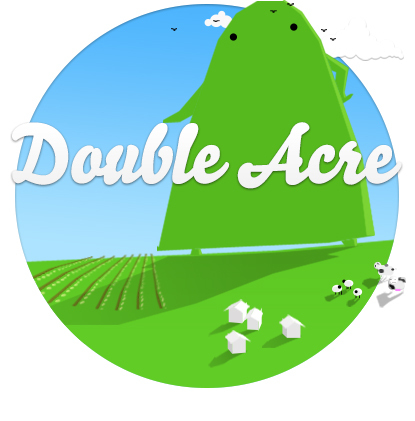 1) Double Acre relies on customers to pick up the goods they’ve purchased at a specified place and time slot (usually a farmers market or farm stand). 2) Customers are free to purchase items from more than one market- meaning that they could inadvertently purchase items from two or more markets without realizing that they’d need to pick items up from different places, which may be rather inconvenient. To avoid confusion on the customer’s part, they may only shop in one market at a time. If they want to shop from a different market they may do so but must consciously navigate out of the one they’re in by clicking on “My Markets” in the primary nav. This was designed to remind them that they may be adding another stop to their pickup plans.